Ohio State Auditor, David Yost, has found loopholes in the $2.5 billion food stamp program leaving the door wide open for FRAUD! Yes, I know you’re surprised that there could ever be fraud linked with the welfare system, but it’s a sad SHOCKING truth. 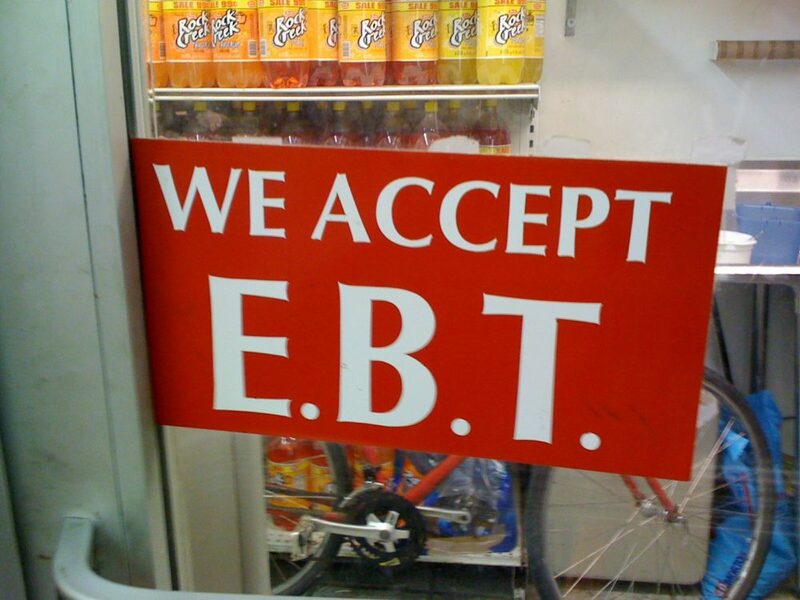 They decided to fix that by requiring pictures on the actual EBT cards… actions like THIS will not sit well with Liberals. It all started when Yost teamed up with two Republicans to create a plan to add photo ID to food stamp cards in hopes to prevent fraud. The problem is, the Left won’t even allow a photo ID requirement when it comes to voting, saying that it disenfranchises voters… so imagine what they’re saying about this move to put pictures on EBT cards. State Auditor Dave Yost, along with State Rep. Tim Schaffer and State Sen. Matt Huffman, announced the legislation Wednesday, the Associated Press reported. At a Statehouse news conference, Yost said fraud accounts for millions of dollars in the program, formally known as Supplemental Nutrition Assistance Program (SNAP). Yost says that there is a 5% fraud and administrative error rate with the OH food stamp system. The bill was introduced in both the State House and State Senate, but it included an exemption to opt out for ‘religious’ purposes. The snowflake executive director of the OH association of Food Banks, Lisa Hamlet-Fugitt, claims that this legislative move is unnecessary. She even says that those who need benefits will feel bullied or intimidated by these new requirements. Are you kidding me? People on public assistance may have their tender feelings hurt because they will have to have their picture on their EBT card? I know how to fix their self-esteem issues right away…. Just tell those who are afraid or ashamed of having their picture put on an assistance card to get the hell off welfare. That way they will have no need to feel guilty or ashamed because they will have a job and confidence that they can provide for themselves without Big Brother holding their hand through life. I quite agree with State Auditor, Yost when he called this ingenious plan a “no-brainer.” Unfortunately, it’s the people without brains who will complain the loudest. Do you think this legislation will pass?